Match ends, Aberdeen 1, Hibernian 0. Second Half ends, Aberdeen 1, Hibernian 0. Corner, Hibernian. Conceded by Lewis Ferguson. Stephen Mallan (Hibernian) wins a free kick in the defensive half. Foul by Sam Cosgrove (Aberdeen). Substitution, Aberdeen. Dominic Ball replaces Gary Mackay-Steven. Attempt blocked. Martin Boyle (Hibernian) right footed shot from the right side of the box is blocked. Substitution, Hibernian. Sean Mackie replaces Lewis Stevenson. Substitution, Aberdeen. Sam Cosgrove replaces Stevie May. Lewis Ferguson (Aberdeen) wins a free kick in the attacking half. Attempt blocked. Stephen Mallan (Hibernian) right footed shot from outside the box is blocked. Substitution, Hibernian. Daryl Horgan replaces Vykintas Slivka. Substitution, Hibernian. Lewis Allan replaces Jamie Maclaren. Florian Kamberi (Hibernian) wins a free kick in the attacking half. Shaleum Logan (Aberdeen) wins a free kick in the defensive half. Attempt missed. Florian Kamberi (Hibernian) right footed shot from the centre of the box is close, but misses to the left. Substitution, Aberdeen. Bruce Anderson replaces James Wilson. Attempt missed. Vykintas Slivka (Hibernian) left footed shot from outside the box is just a bit too high. Attempt blocked. Graeme Shinnie (Aberdeen) left footed shot from outside the box is blocked. Corner, Hibernian. Conceded by Shaleum Logan. Attempt blocked. 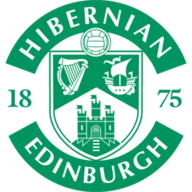 Jamie Maclaren (Hibernian) right footed shot from the centre of the box is blocked. Stephen Mallan (Hibernian) is shown the yellow card for a bad foul. Attempt missed. Florian Kamberi (Hibernian) left footed shot from the left side of the box is close, but misses to the right. Gary Mackay-Steven (Aberdeen) wins a free kick in the attacking half. Attempt missed. Mark Milligan (Hibernian) header from the centre of the box is just a bit too high following a corner. Foul by Stevie May (Aberdeen). Ryan Porteous (Hibernian) wins a free kick in the attacking half. Hand ball by Lewis Stevenson (Hibernian). Corner, Hibernian. Conceded by Michael Devlin. Attempt missed. Lewis Ferguson (Aberdeen) right footed shot from outside the box is just a bit too high. Shaleum Logan (Aberdeen) wins a free kick on the right wing. Foul by Michael Devlin (Aberdeen). Second Half begins Aberdeen 1, Hibernian 0. First Half ends, Aberdeen 1, Hibernian 0. Foul by James Wilson (Aberdeen). Adam Bogdan (Hibernian) wins a free kick in the attacking half. Corner, Aberdeen. Conceded by Efe Ambrose. Corner, Aberdeen. Conceded by Ryan Porteous. Goal! 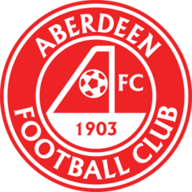 Aberdeen 1, Hibernian 0. Gary Mackay-Steven (Aberdeen) left footed shot from outside the box to the bottom right corner. Delay in match Florian Kamberi (Hibernian) because of an injury. Attempt missed. Gary Mackay-Steven (Aberdeen) header from the centre of the box misses to the right. James Wilson (Aberdeen) wins a free kick in the attacking half. Mark Milligan (Hibernian) wins a free kick in the attacking half. Stevie May (Aberdeen) wins a free kick on the left wing. Stevie May (Aberdeen) wins a free kick in the defensive half. Attempt blocked. James Wilson (Aberdeen) left footed shot from the left side of the box is blocked. Corner, Aberdeen. Conceded by Darren McGregor. Ryan Porteous (Hibernian) is shown the yellow card for a bad foul. Foul by Ryan Porteous (Hibernian). Gary Mackay-Steven (Aberdeen) wins a free kick on the right wing. Attempt missed. Stephen Mallan (Hibernian) right footed shot from long range on the left is just a bit too high from a direct free kick. Attempt blocked. Darren McGregor (Hibernian) header from the left side of the box is blocked. Attempt blocked. Mark Milligan (Hibernian) right footed shot from the centre of the box is blocked. Florian Kamberi (Hibernian) wins a free kick in the defensive half. Foul by Scott McKenna (Aberdeen). Stevie May (Aberdeen) wins a free kick on the right wing.